Conversion, conversion, conversion. This is the noun that tells you what the professionals of Dotcomweavers are all about. 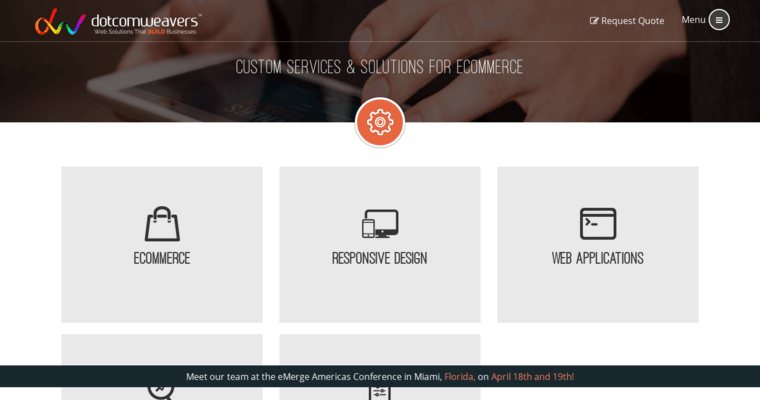 As a team of experienced techies with extensive experience in the web design firm, the company's professionals are skilled in turning the client's website into an eCommerce hub. 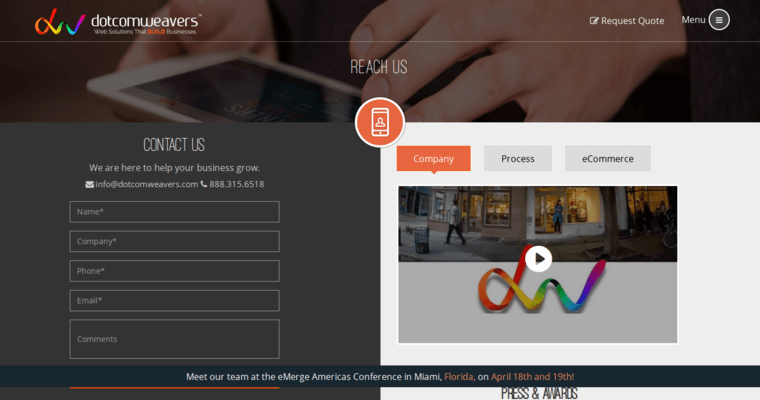 In addition to designing sites that are optimized for cross compatibility, Dotcomweaver's geeks excel in utilizing graphic design techniques and tools to enhance the connectivity of the sites they create. And as a holistic internet marketing company, clients can expect to attain a wide, all-encompassing range of advertising services to ensure the maximum return on investment. Some of the great techniques the company offers include content creation, keyword analysis, research and analytics, link building, online reputation management, and much more. 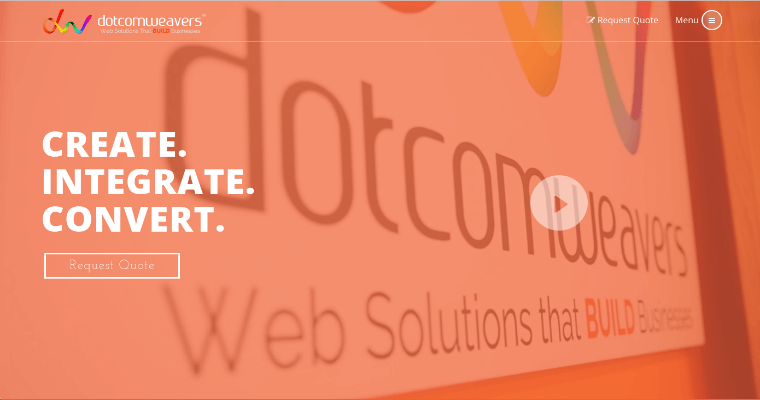 Finally, the Dotcomweavers are passionate about making the client an integral component of the web design and development process. This customer-centered attitude has helped the company attain and maintain high levels of client satisfaction.